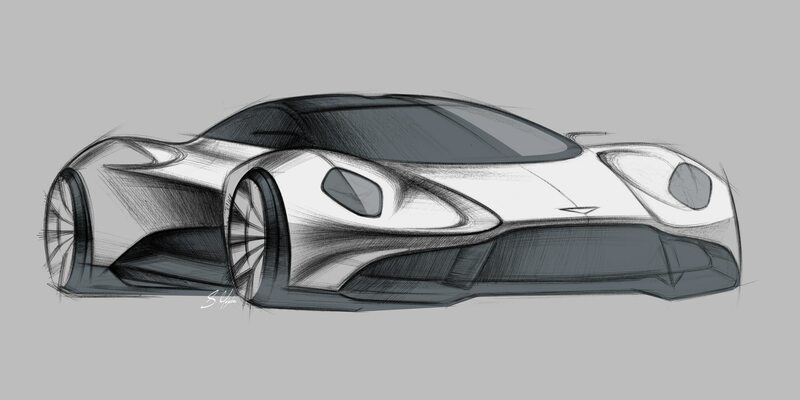 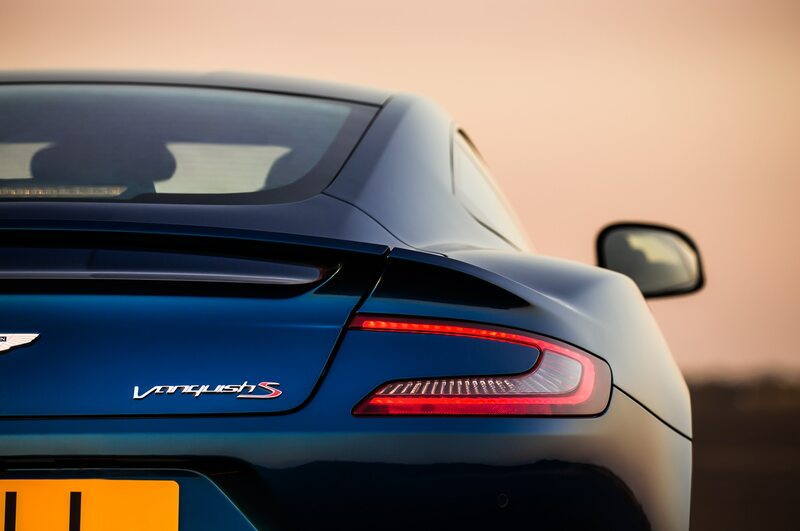 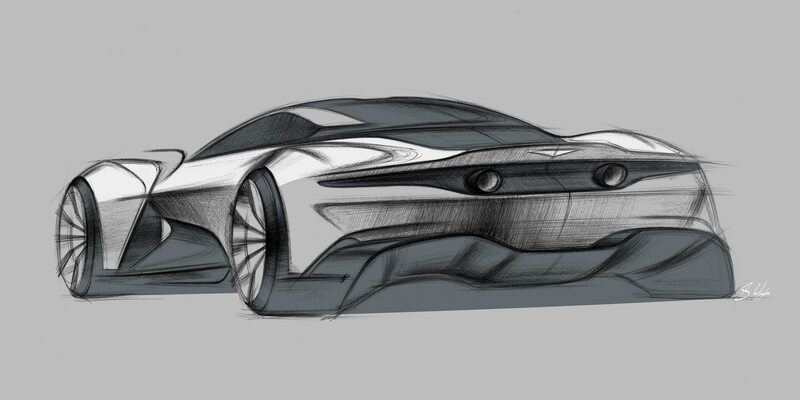 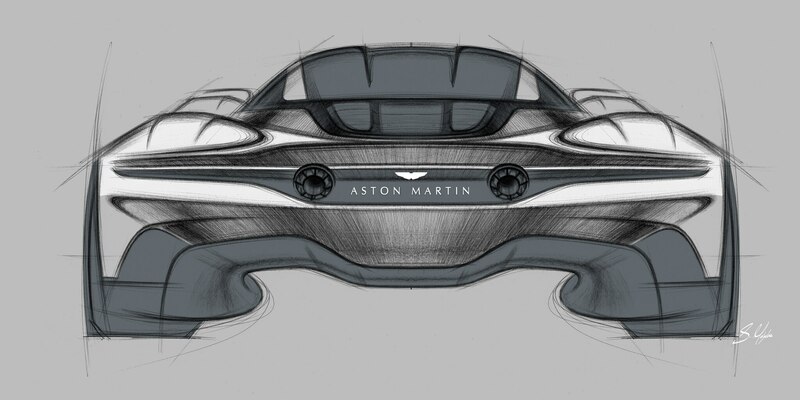 / News / The Next Aston Martin Vanquish Will Go Mid-Engine! 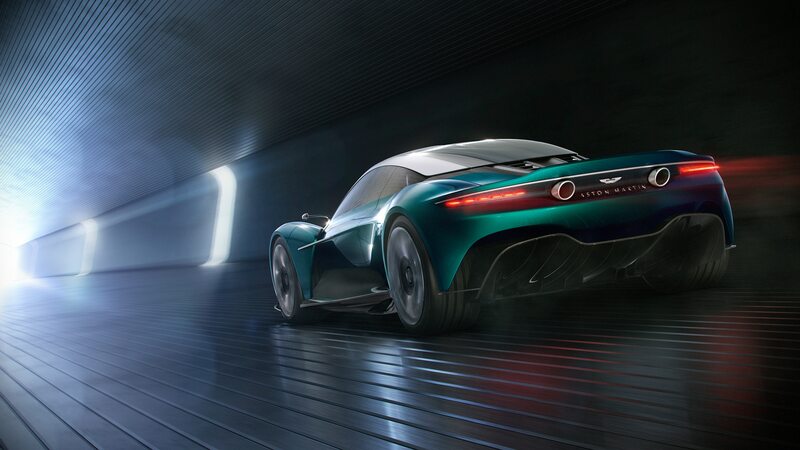 Previewed by this concept, it will pack a new V-6 engine when it arrives in 2022. 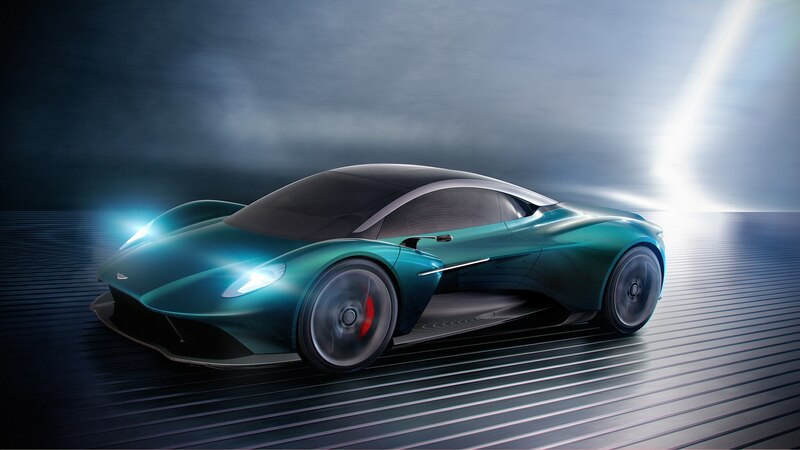 Feast your eyeballs on the Vanquish Vision Concept, which will become the first series-production mid-engine supercar from Aston Martin. 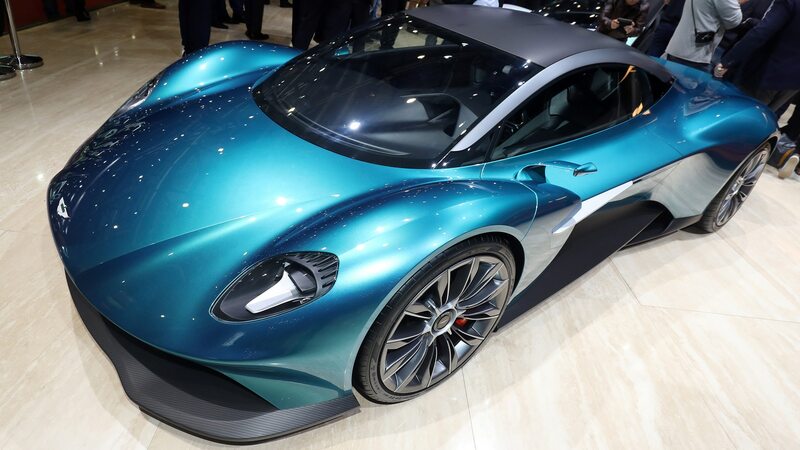 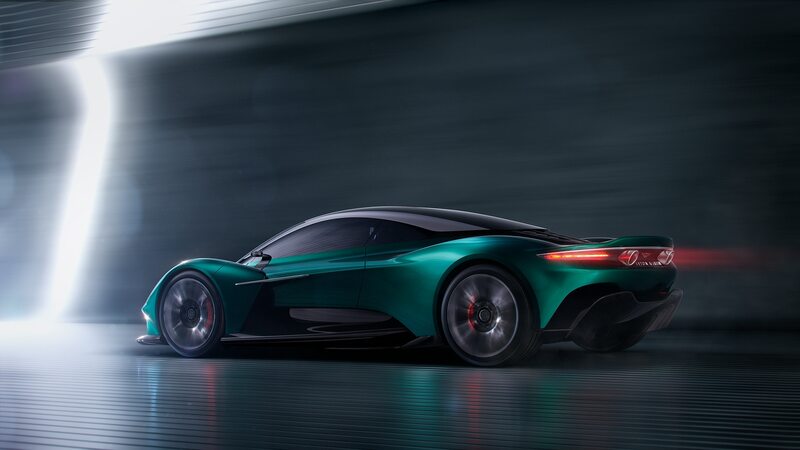 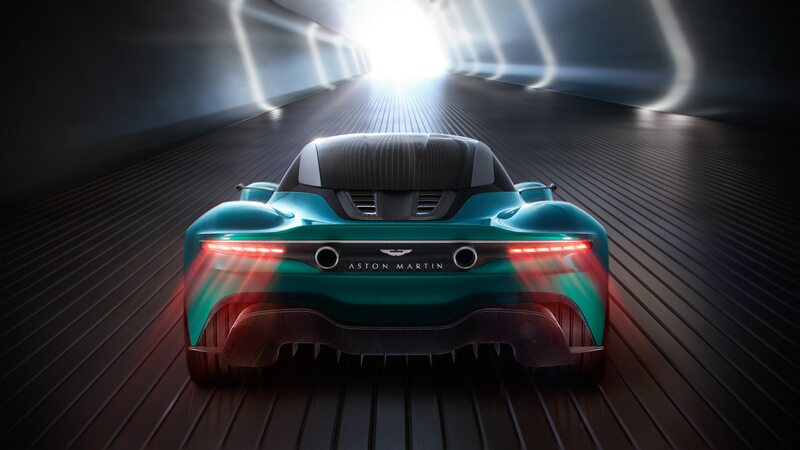 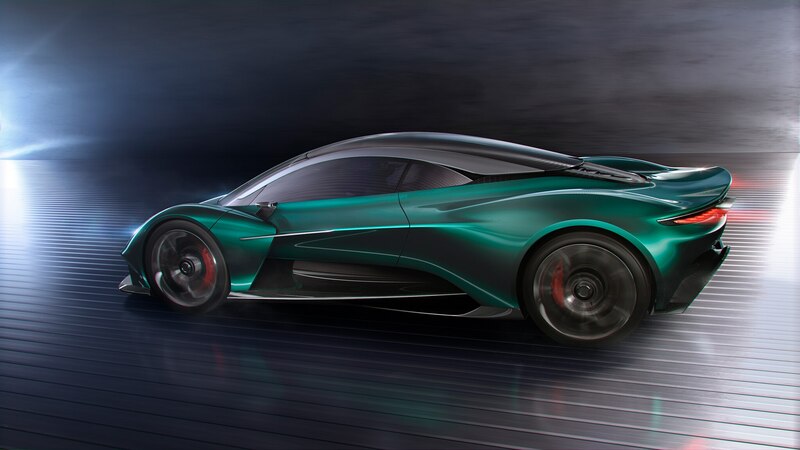 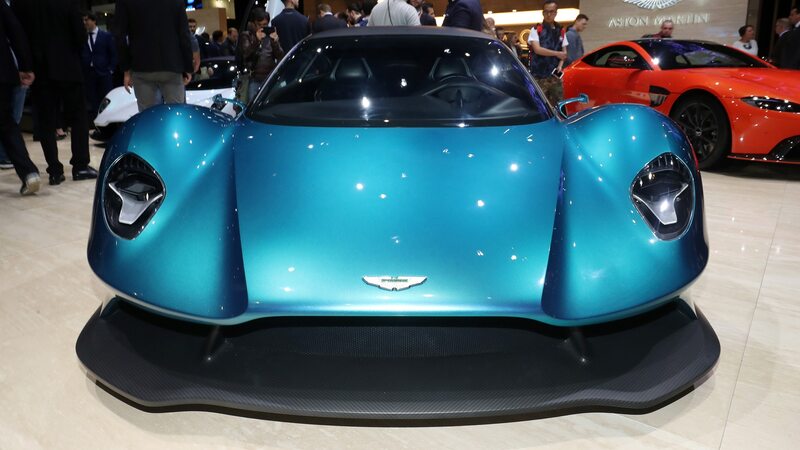 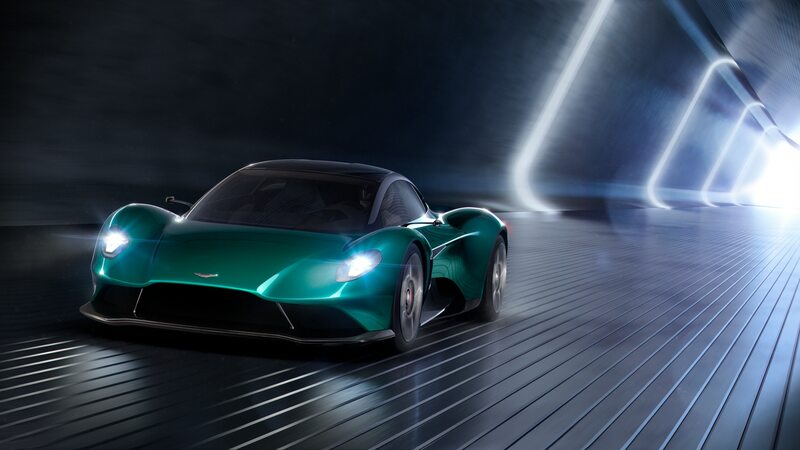 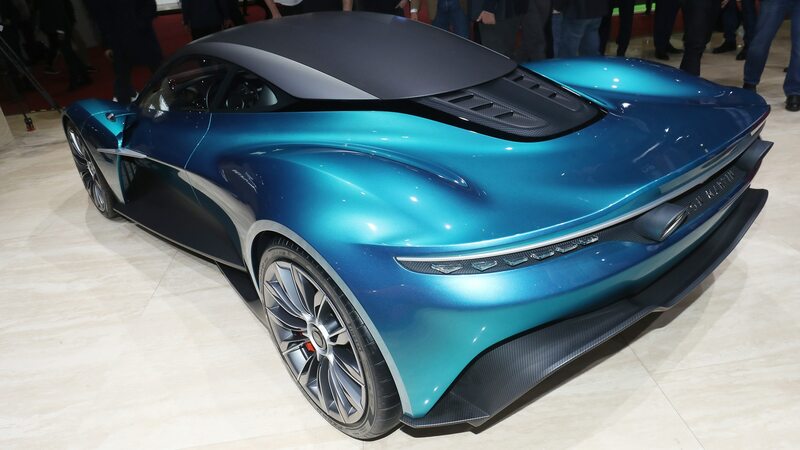 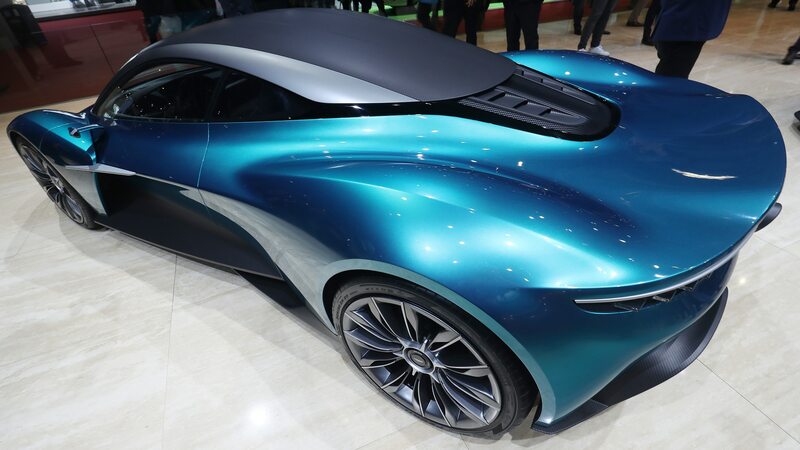 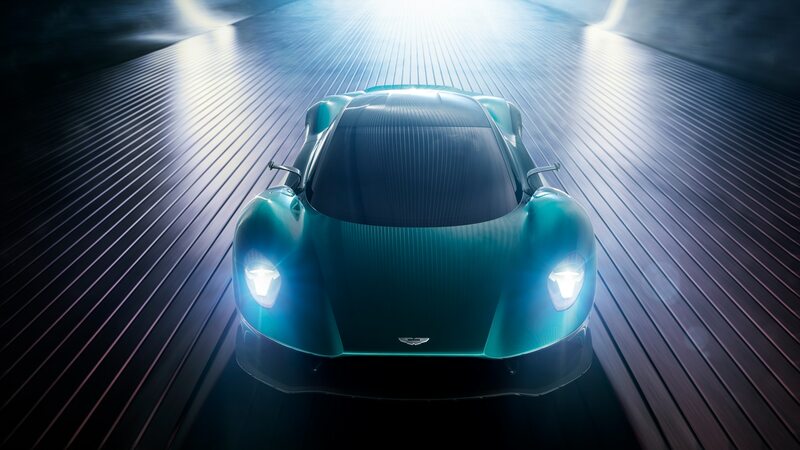 The stunner of a concept revives the Vanquish name and joins the Lagonda All-Terrain concept and AM-RB 003 hypercar on the buzzworthy Aston stand at this year’s Geneva Motor Show. 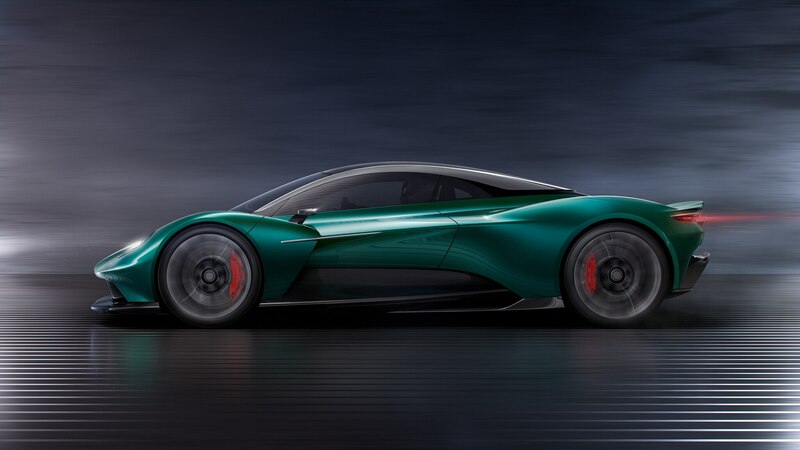 The racing green Vanquish Vision sports aggressively sculpted front fenders with slots cut in them that Aston says allow occupants to see the tires, and most important, it will be powered by a new turbocharged V-6 engine that also features in the 003, albeit with hybrid assistance. 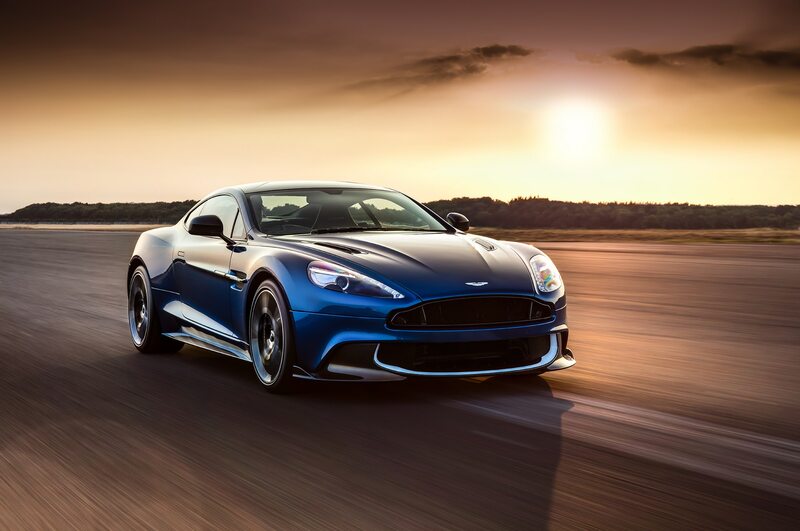 The new Vanquish will thrust Aston right into the thick of things with its competitors from Maranello and Sant’Agata Bolognese, both of whom have fielded razor-sharp mid-engine supercars for decades—to say nothing of the folks in Woking, too—as well as give more tangible truth to Aston’s push to become much more than a purveyor of fast grand tourers. 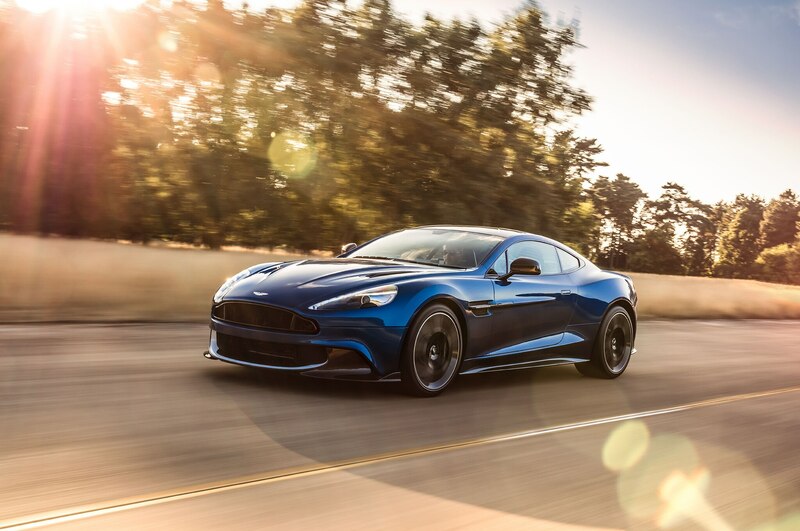 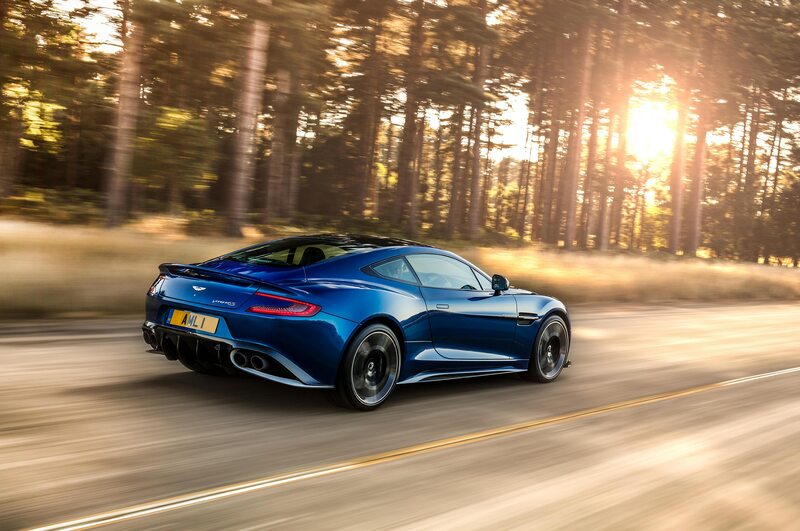 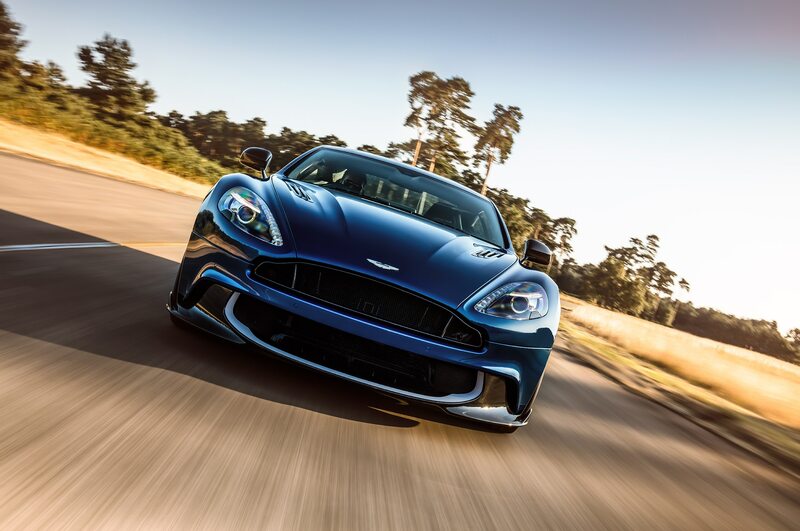 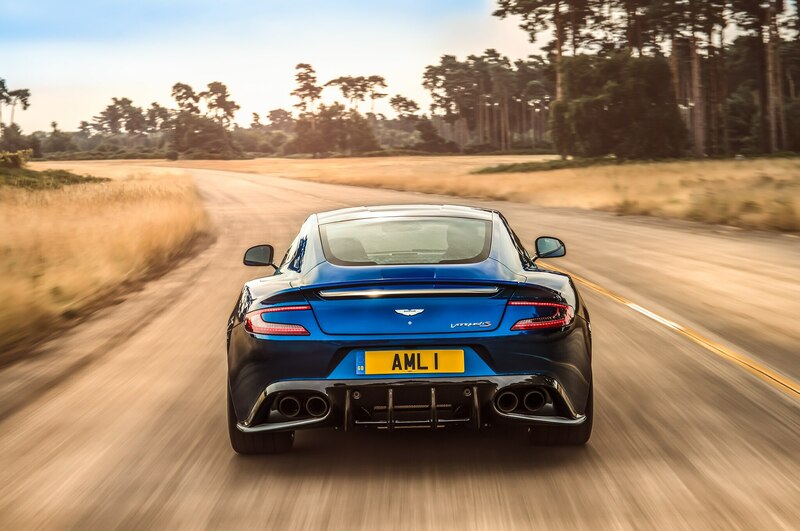 One thing’s for sure, we can’t wait to see the Vanquish in the flesh, and eventually from behind the wheel.